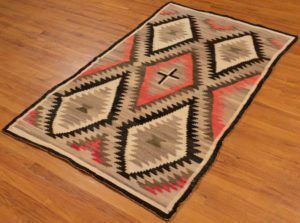 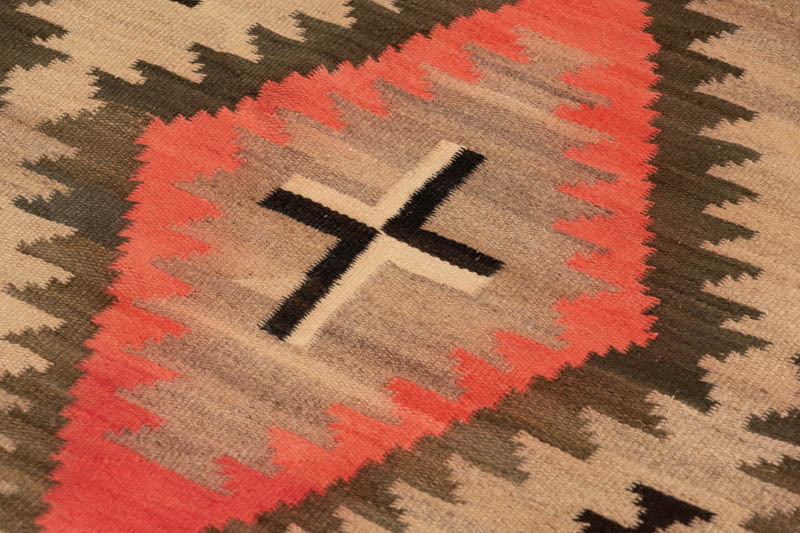 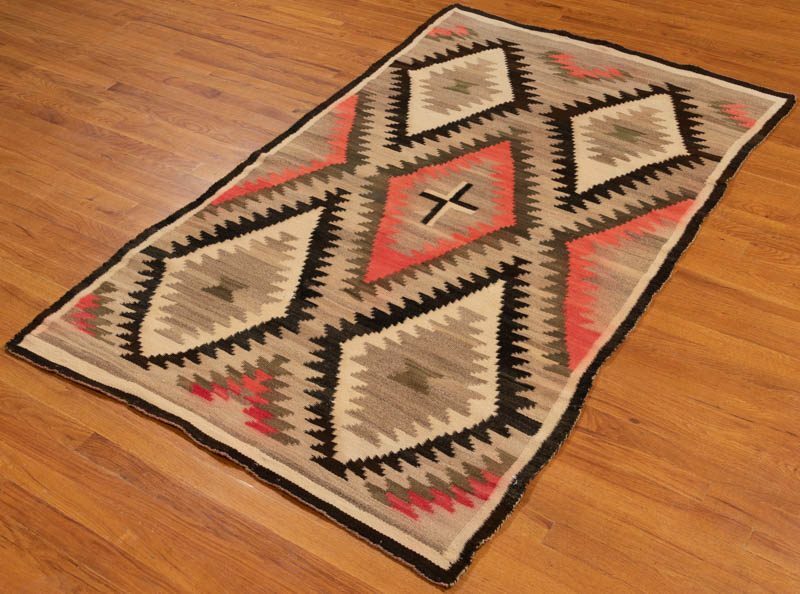 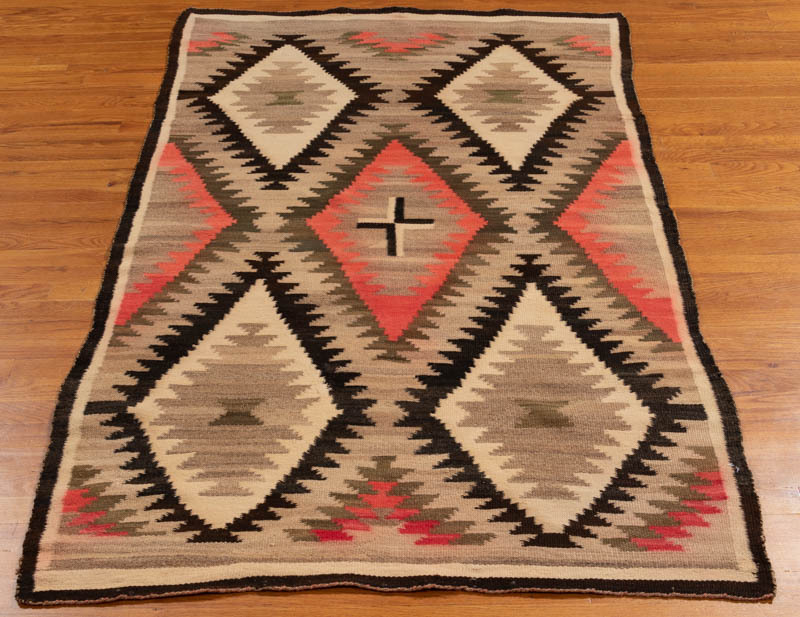 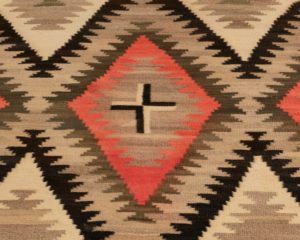 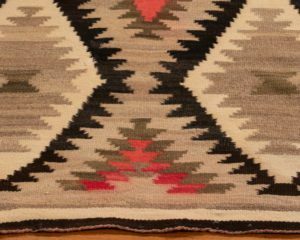 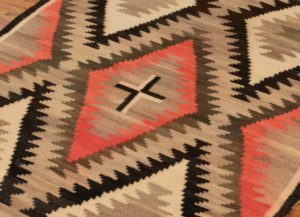 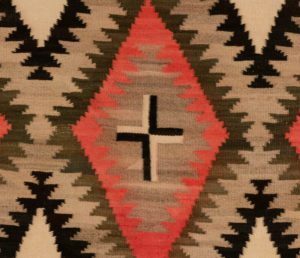 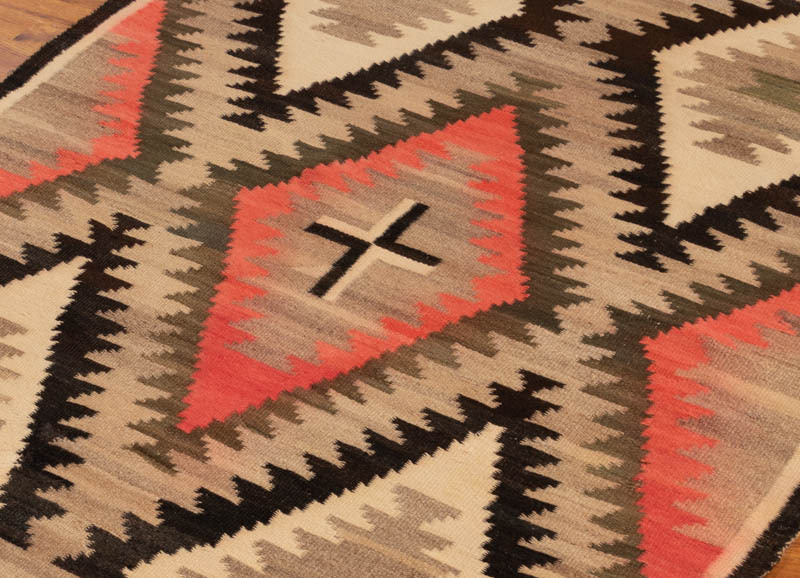 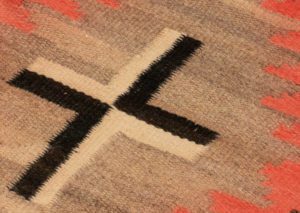 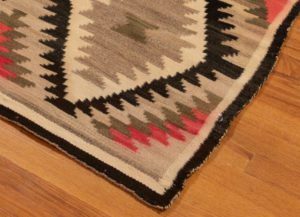 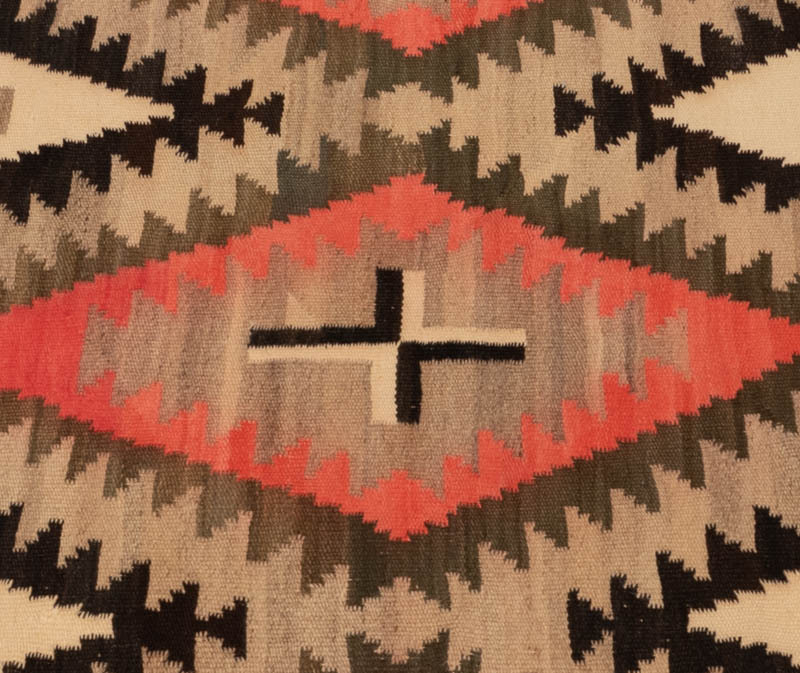 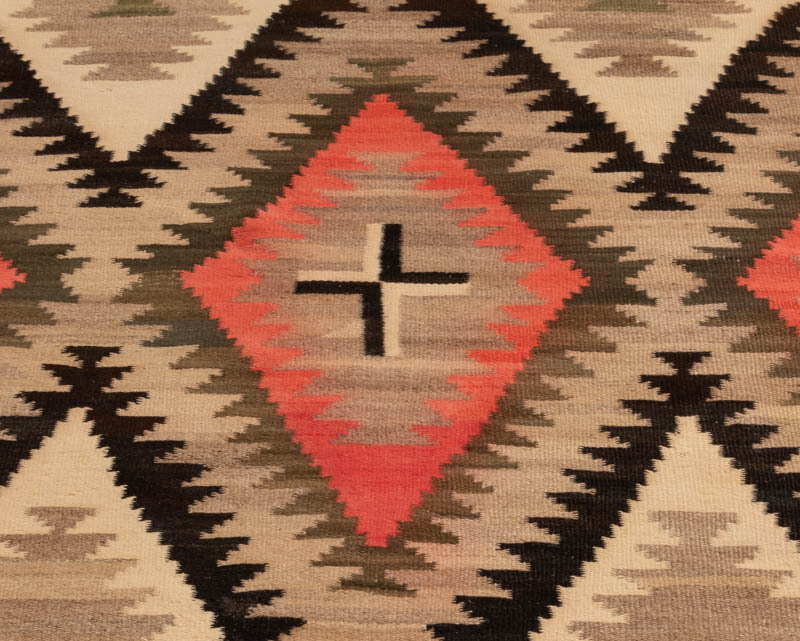 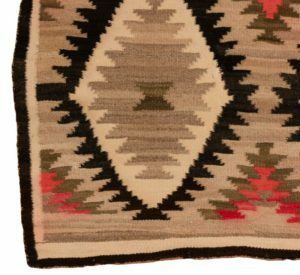 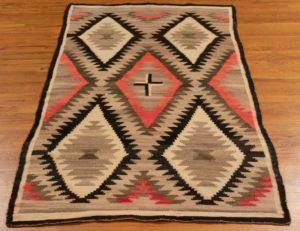 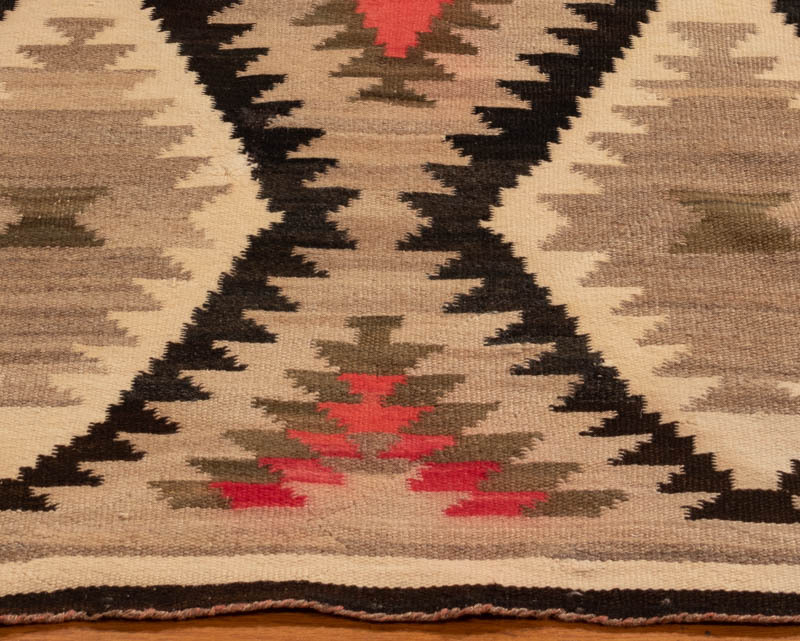 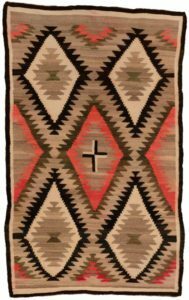 Vintage Southwestern/Navajo rug woven at the Ganado Trading Post (founded by John Lorenzo Hubbell at Ganado, Arizona, in 1876). 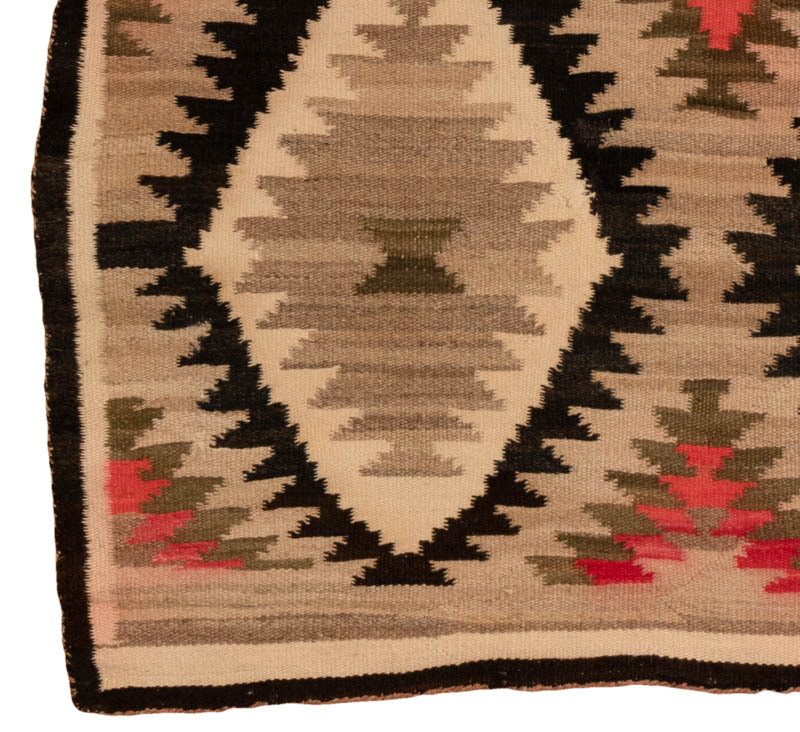 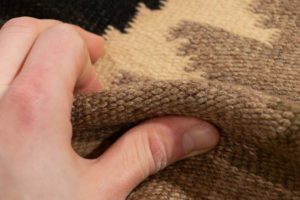 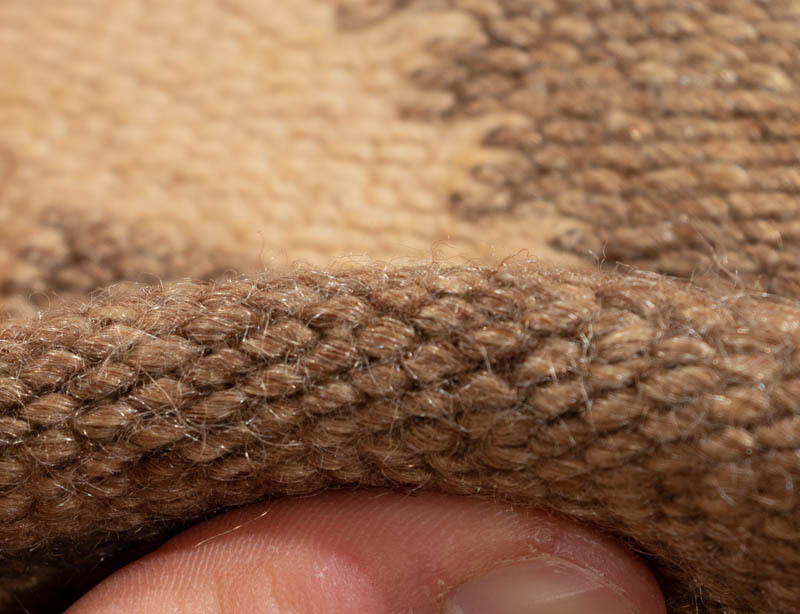 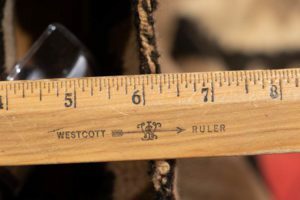 Woven of native handspun wool in natural fleece colors of brown/black and ivory/white with aniline red. 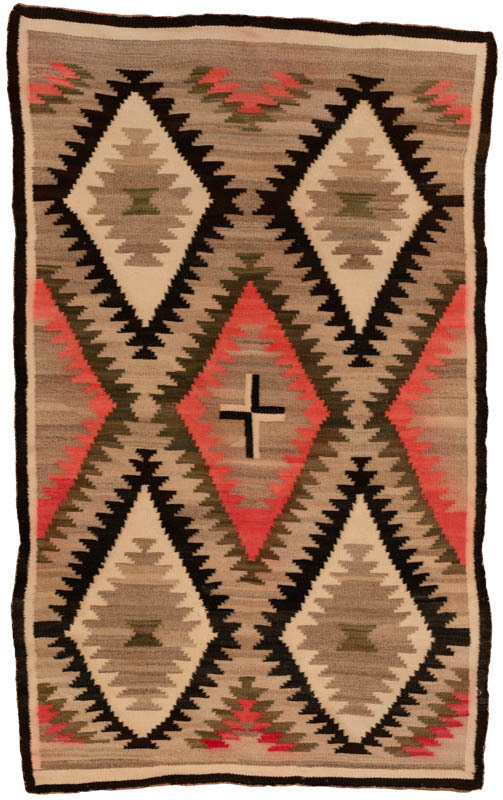 This textile is well suited for use on the floor as an area rug or as a wall hanging/tapestry or furniture throw.